Barry Callebaut is the world’s leading manufacturer of high-quality chocolate and cocoa products. It has more than 8,500 employees and more than 50 production facilities. 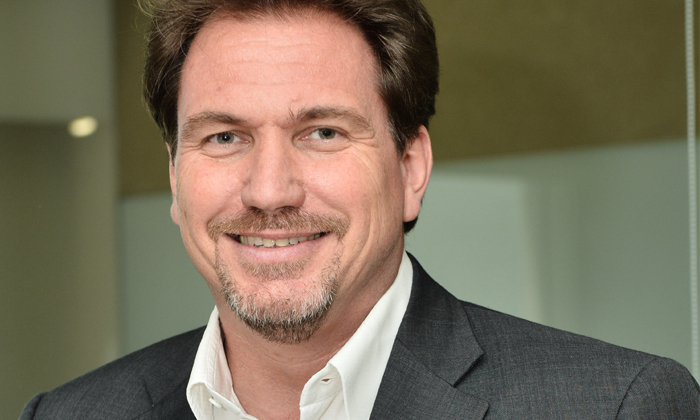 Based in Singapore, Thomas Schellerer is the HR director for Asia Pacific. He recently relocated to Singapore from Kuala Lumpur, where he carried out the same role. My first job was in logistics, but there was no HR person in the company. There were a lot of HR issues to deal with, including dealing with the workers’ councils, so I realised I enjoyed the HR parts of my work more than the technical parts. That’s when I decided I would rather be in HR. What is it about HR you love the most? It’s all about people and you are not stuck within one topic in the business. You are in operations, manufacturing, R&D, sales – you’re everywhere and that really makes it interesting for me. Do you have an aspect of your job you don’t like? Maybe the administrative side, which has to be done, but you want to spend as little time on it by making the process as effective as possible. For example, we all know payroll is the basis – if people don’t get paid there will be problems – but it’s nothing that will really differentiate your company from others. Are there any odd moments in HR? There are many, but I think recruiting is the funniest. Sometimes people send in CVs with really funny information or sometimes you get information you really didn’t want to know. Also, people-interaction is fun. You really have to see what personalities fit the position, or department or company. There’s the whole talent development and succession planning part where you get to play “chess” and determine what the next steps for this person are. These are things I find really exciting, but of course you have to do the groundwork first because without the admin stuff, you’re not able to do anything else. I’m open and flexible, and I don’t like to think I’m always right. I like my team challenging me. How do you think HR has changed over the past two decades? The changes have been tremendous. My job has evolved over the years, and there was a time when everyone tried to outsource HR and questioned HR’s value in the business. The last 10 to 15 years has changed that a lot, and we can see that more and more MNCs realise one of the biggest challenges is making sure we have the right talent. It’s always nice when you hear the CEO say in order to run a successful business you need two things: Money and people. The biggest project we have globally is our HR transformation project, HR for growth, where we’re changing our delivery systems and implementing a new operations structure. We want to be closer to the employees. We don’t want to just have a helpline or a phone number people can call, we want to have a face of HR and keep that human touch. I try to be rather hands-off. I start off trusting people, and I like to work with people I have a good relationship with – we don’t have to be friends, but there has to be trust. I’m open and flexible, and I don’t like to think I’m always right. I like my team challenging me because you need that. When we succeed, it’s not my success, it’s the success of the team, because without the team, I’m nobody. What do you think is the best thing HR can do for employees? We can really help find out what the right job for them is, where they can perform and shine the best. As HR, we tell them when they are good, but also help managers tell their teams if they’re not working that well. I’m a believer of not spending too much time in a position where you’re not happy. It doesn’t matter how much money you’re making; if you enjoy what you’re doing, you will automatically be successful. Is that the one piece of career advice you would give someone? Yes, always try to do what you enjoy. We spend so much time at work with our colleagues so it would be dreadful to be in a job where on Sunday evening you think, “I don’t want to go into the office tomorrow”. Do what you enjoy doing, do what you love and you will succeed … and enjoy your job even more. It doesn’t matter how much money you’re making; if you enjoy what you’re doing, you will automatically be successful … and therefore make money. And you seem to be someone who is enjoying what you’re doing. Absolutely! Especially when you can work for a chocolate company – not many products get any better. Is Hong Kong losing talent because of low mental health support?